If you know of a woman currently undergoing chemotherapy for cancer, please pass the word to her that there is a cleaning service that provides FREE housecleaning – once per month for 4 months while she is in treatment. A large study involving over 13,000 patients experiencing chemotherapy related fatigue showed a 31.3% improvement after receiving acupuncture treatment. Cancer patients looking for alternative cancer treatments to relieve the side effects of chemotherapy can turn to acupuncture for relief of fatigue. Acupuncture is effective in helping cancer patients deal with pain, sleep, hot flashes, menopausal symptoms, nausea and vomiting, fatigue, immune support, bone marrow supprssion, anemia, digestion, diarrhea and constipaton and a broad range of quality of life issues including depression and anxiety and sense of well being. Acupuncture treatment for cancer patients and cancer survivors is becoming widely accepted at cancer treatment centers worldwide. 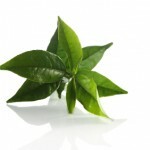 How does Green Tea Contribute to Weight Loss?